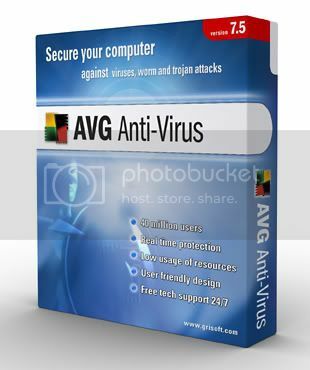 AVG Anti Virus Professional Edition 7 5 516 KGN h33t dinguskull Torrent Downloads - download free torrents! AVG Professional Single Edition is perfectly designed to give you the maximum antivirus protection for your single home PC or workstation. AVG Professional is simple to install and operate. No IT expertise is required and it can run in the background, providing uninterrupted protection. All file and e-mail activity is checked automatically, allowing you to get on with your work without worrying about viruses. AVG Professional is extremely reliable , fast and light on resources, so, no matter how demanding a user you are, it won't slow down your performance. are available. Alternatively you can update manually, or configure AVG Professional to download updates at a scheduled time that suits you. · AVG holds the VB100% award and is ICSA certified, so you can be assured of the highest level of antivirus protection. · The powerful AVG Resident Shield provides maximum protection by scanning every file opened, executed, or saved. It will also prevent the opening or executing of infected files. · The AVG Personal E-mail Scanner checks every e-mail sent or received, providing much needed protection from e-mail borne threats. AVG supports all leading e-mail clients including MS Outlook, The bat!, Eudora and all other SMTP/POP3 based email clients such as Outlook Express. Encrypted connections using SSL are also supported. · AVG Professional can scan attachments of instant message services (like ICQ, MSN Messenger) for viruses and other threats. · AVG provides support for the detection of "potentially unwanted programs". · AVG’s scanning engine uses a unique combination of heuristic analysis and generic detection methods to detect all known viruses. · The AVG Resident Shield can include/exclude files from scanning based on individual file extensions. · Automatically attempts to heal/remove infected files and other threats such as trojans, worms, and java applets. Removed files are quarantined in the AVG Virus Vault. · AVG Professional has flexible password protection so you can select which settings you wish to protect from other users. · AVG Professional now supports Microsoft Windows 64 bit platforms.